Whenever I taste something really delicious, I will go to great lengths to hunt down the cook and get that recipe. I have spent way more time than I care to admit roaming the back hallways in hotels, conference centres and restaurants, trying to track down the maker of whatever deliciousness I was served. But you’d be surprised at how many cooks won’t share their recipe, special ingredient or cooking tip when I do finally track them down. Obviously I think that’s ridiculous because sharing recipes is what I do. But that’s because it’s born out of a personal philosophy that good food is meant to be shared. And I created this forum to do just that! Fortunately, the special ingredient in this recipe was graciously shared by a cook that subscribes to the same philosophy as I do. So I have incorporated it, along with the glorious medley of apple pie and creamy gruyère cheese into these award-winning easy Apple Pie Cinnamon Rolls (Winner of Safeway’s Destination Cheese Champions 2012). Imaging that this cake took hours to cook in their old-timey wood-fired brick oven, I dragged my reluctant family from building to building to hunt down the source of that dreamy dessert, only to discover in the end that it was one of the items the fort ordered from Sysco. Talk about disappointing. Now there was no hope that I’d ever be able to replicate it. Now I’m all about cooking from scratch, but I was willing to make an exception in this case. But then I found out that I couldn’t even buy it because Sysco doesn’t sell to the public! Sadly, even when I find the source, not all my food expeditions end in success. If you are looking for unique ideas for a breakfast potluck, then this is your cinnamon bun recipe! It’s a little more sophisticated than your typical cinnamon roll and well, cheese, apple pie and cinnamon rolls were just meant to be together. 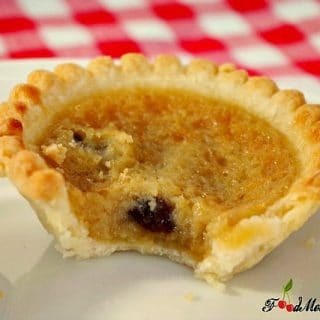 I had someone contact me through this blog because she saw an image of my Butter Tart cookies online and couldn’t find the recipe. I had no idea how it even got online because I hadn’t even published the recipe and it was still in draft form. I was a bit concerned about this, so I contacted my IT guy. Apparently goggle mapped the photo because I had named it and didn’t have something set up on my blog to prevent my draft photos from being mapped (who knew) and so it came up in her search . Now this recipe still some needed work (it looked pretty hideous as you can see), but I knew it tasted great and she really wanted it. So I gave it to her anyway. In my food travels I have acquired a lot of great recipes and cooking tips by simply asking. Luckily, the cooks that are willing to share far outnumber the ones that won’t. So, I will continue to pay it forward by sharing my recipes, because good tasting food is meant to be shared, even if is it ugly! 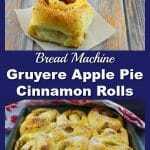 These award-winning Gruyère Apple Pie Cinnamon Rolls are made in your bread machine, then baked to perfection in your oven and smothered in vanilla mocha glaze. Apple pie and cinnamon bun are just meant for each other! 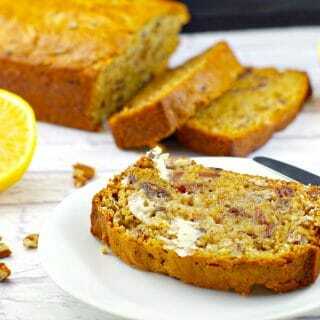 These can be made ahead and frozen and are an excellent brunch potluck idea or bake sale item. *See NO bread maker/bread machine option as well. Mix all ingredients in bread maker in order given. Ensure to add salt along one side of the bread pan and sugar along the opposite side. Dig a little well in the centre and add yeast last (don’t let it touch anything). Select dough cycle. When dough is complete(about 1 hr and 20 mins), remove to a lightly floured surface. Knead enough to make it easy to handle (if necessary). If too elastic, let rest for 10 more minutes. Preheat oven to 350 degrees F. Spray a 9X13 baking pan with non-stick cooking spray. Meanwhile, mix filling: Thinly slices apples and pour ¼ cup water over them. Cook apples in microwave for approximately 3 minutes until soft. Drain water. Toss with brown sugar, almonds and cinnamon. Roll dough into a 12X18 rectangle. Spread softened butter over dough. Top with apple mixture and spread evenly across butter. Spread whipped cream evenly on top of apple mixture. Beginning at long end, roll up tightly as a jelly roll. Pinch seam to seal. With sharp knife, cut into 8 equal slices. Pace cut side up in a greased 9X13 inch baking pan. Bake rolls at 350 degrees F for 25-30 minutes or until done. Mix whipping cream and strong coffee together. Add vanilla and whipping cream mixture to sifted powdered sugar. When buns are done, drizzle glaze over warm rolls. Serve warm or cold.Sprinkle with a little powdered/icing sugar, if desired. ***If you don't have a bread machine, these cinnamon buns are still possible! When Safeway published my recipe, they used a refrigerated french bread instead of this breadmaker dough to make it quicker. I am unable to find that type of bread at Canada Safeway, but if you live in the US, you may have some luck! Love this pairing, I’ve never tried it, but it sounds like a match made in heaven. I’m so doing this recipe soon! Delicious! Hi Marie-Pierre- thanks. Yes, the flavours go really well together – I hope you enjoy it! This look so good!! Love the combination of cheese and apple and I bet these would be so lovely with my cup of coffee right now 🙂 Can’t wait to try these! Pinned! Have an awesome weekend! Thanks, Dawn! I hope you enjoy them! Are you thinking quick version or bread maker? If you make the quick version, I’d love to know if you can find the refrigerated french loaf dough. I can’t find it here! I love the idea of lemon zest in the cinnamon roll dough. These rolls look amazing! Thanks, Dawn! Yes, the lemon zest really works! I have never thought to put cheese in a sweet roll like this, I love the combination! Apples and cheese always go so well together, my family growing up always had a slice of old cheddar cheese with their apple pie. 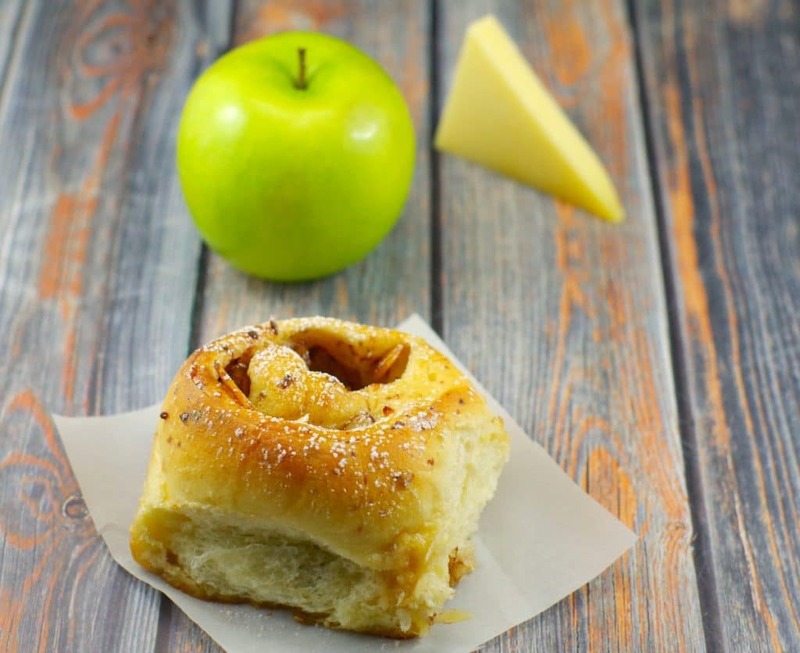 Thanks Kimberley – Yes, cheese and apple pie were always meant to meet in a cinnamon bun! I cannot wait to try these! Perfect for a weekend crowd! Hi Carolyn: Thank you – I hope you enjoy them!